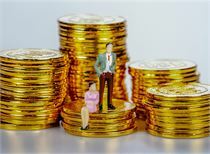 The latest statistics show that as of the end of 2018, domestic equity investmentfundThe stock has reached 9 trillion, of which the guiding fund actually contributed 4 trillion yuan, so now the guiding fund has become the largest LP and the largest gold master in the equity investment market. The guiding fund is essentially the government's financial funds, and is responsible for the task of maintaining and increasing the value of assets. It is worth noting that in the recent 70 companies that have applied for the board, there are frequent pilot funds, including Shanghai’s Anjiwei, which is invested by the National IC Industry Fund. Harbin’s Xinguang Radio and TV is passed by the country. China conducts strategic investments. Then the question comes, the biggest gold owner in the domestic equity investment market, how to see the market and the science and technology board? 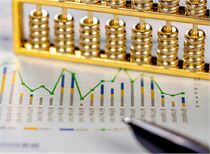 At the “Double Hundred” Forum of the Second Equity Investment Fund of Zhanheng recently, representatives of government guidance funds from all over the country started a hot discussion. The Shanghai Stock Exchange has risen to 3,200 points. How do you view the primary and secondary markets? Recently, there have been 5,000 points and 10,000 points of voice in the market. However, although the secondary market has risen sharply in the first quarter, it can still be considered as a valuation repair market. The price hikes in the primary and secondary markets are still very serious.Shanghai indexIf it rises to around 3,500 points, the whole market may be shaken up, and the phenomenon of upside down in the first and second markets will be basically eliminated or greatly improved, which will be a better promotion for the entire equity investment market. The reasons for the upside down market in the primary and secondary markets are more the result of the frenzied expansion and investment of the equity investment market in the past few years. Among them, the guiding fund has also played a role in fueling this process, and even “does not contribute”. 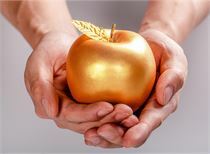 With the launch of the science and technology board, a group of excellent GPs will get more rich returns, and a large number of GPs and investors who make bubbles may become "zombies." 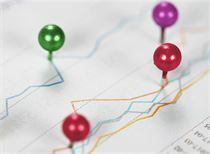 For example, the current new three-board fund is generally in a relatively embarrassing position, because most of the new three-board funds were established in 2015. From the perspective of valuation, they have almost fallen by half. Four years have passed and the fund has expired. And customers are hoping that there is a good fund in four years.PerformanceGrowth, so it’s awkward, and it’s hard to break the wrist. Since 2016, the number of government-guided funds across the country has increased rapidly, and the outstanding project reserves are obviously unlikely to surge in the short-term, and the competition of local guiding funds for stock quality projects has become increasingly fierce. actual value. In particular, the general government guidance fund has strict geographical restrictions on the target projects, and the gap in the quality project source is even larger. For local companies, the exit channel of the guiding fund, including the share transfer,Equity transfer,Repo,Merger, listing, IPO, etc., which can achieve higher returns through IPO exit, is the most ideal way to exit. However, in recent years, IPO audits have become stricter, and a large number of enterprises have been suspended or stagnated, which has led to the withdrawal of government-guided funds from the companies they invest in. The science and technology board and the government guidance fund are mutually reinforcing. In 2015, the Ministry of Finance issued the “Interim Management Measures for Government Investment Funds”, which framed the four major directions of investment. The core is to encourage technological innovation and technology research and development, which is highly consistent with the concept of the launch of Science and Technology. The science and technology board and the government guidance fund have obvious synergistic effects. In the past, the government guidance fund solved some market failures in industrial investment. However, due to the unsuccessful exit mechanism, it is difficult to attract social capital on a large scale. After the launch of the board, there is also a better exit channel for industries with long investment time and high input costs, which is also conducive to the development of government-guided funds. The launch of the science and technology board has indeed enriched the path of the withdrawal of the guiding fund. Previously, the withdrawal from the IPO should be said to be relatively high from the perspective of profitability. Now it is allowed to invest in bio-pharmaceutical companies with relatively large R&D investment and no profit. Listing will help guide the fund to withdraw. At the same time, there is a lot of support for the guiding fund in terms of policy. In November 2017, the introduction of the new regulations for the reduction of state-owned equity will be transferred to 10% of the IPO public shares.Social securityNow, the target of transfer has become a transfer of shares of the central and local enterprise groups that have completed the reform of the company system, and the shares of the enterprise group are transferred. 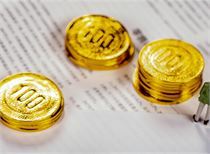 At the same time, the shareholding of state-owned venture capital funds and investment companies also has policy support for exemption from social security. In terms of reduction, because the company also hopes to give clear market expectations in terms of reduction, it has increased the time limit for core technical personnel, including the exit of no profitable enterprises. However, for venture capital funds invested in small and medium-sized enterprises and high-tech enterprises in the early and middle stages, the exit policy is relatively favorable. The previous regular period is not reduced for 12 months after listing, and the number of reductions is held every 90 days after December. Can not exceed 1% of the total share capital. Now we see venture capital funds. If the holding period is long, the investment period is more than 48 months, and the reduction can be no more than 1% within one month after listing. There is no special restriction on other reductions. A substantial support. In general, the launch of the science and technology board will promote the development of the government guidance fund, and at the same time better support the development of innovative enterprises. At present, we have also voted for the first science and technology project in Beijing, which was about 2010, but it has long since quit. If you keep holding it until now, the profit return will be very rich. Compared with other regions, Beijing Haidian District has a great advantage. There are many colleges and universities in the region. 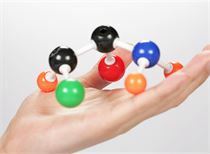 The Haidian District Government Guidance Fund has established scientific and technological achievements transformation funds with Tsinghua University, Peking University, Chinese Academy of Sciences, Beijing University, and Beihang University. Used to nurture early projects. The establishment of the Science and Technology Board has provided a new exit channel for the government guidance fund. Especially for the research and entrepreneurship guidance fund set up by colleges and universities, it is a good complement, which is conducive to building an atmosphere and platform for innovation and entrepreneurship. Many colleges and institutions and social investment institutions have discovered potential unicorn companies. Because according to the IPO standards of the previous GEM and motherboard, some venture capital companies are difficult to achieve listing. "We invested in a company that was originally listed on the Hong Kong stock market, but with the introduction of the science and technology board, it quickly moved to the science and technology board market." In fact, after the introduction of the science and technology board, there were many high-tech enterprises and unicorn enterprises in Haidian, including the Cambrian, Yushi Technology and so on. Judging from the feedback we received, some real unicorn companies may have concerns such as valuation upside down and capital withdrawal in the future, and they have not declared it. It is very unexpected. This is particularly obvious in Haidian District. We probably recommended it at that time. There are about 13 artificial intelligence, AI, and chips that compare cattle. There is currently no report. This question also requires us to make a reflection, to learn more about the founder of the company or behind the company.shareholderEspecially the idea of ​​the employer, the science and technology board is not necessarily suitable for all enterprises, for the enterprise, it is best to choose the one that suits you. First, there is a lack of regulatory norms in the entire PE secondary market, and there is a lack of mature trading rules. 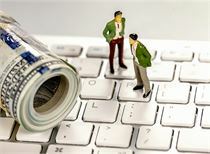 Second, information exchange is limited, and suitable investment opportunities are hard to find. Although our country has an incentive policy for the PE secondary market about ten years ago, in 2010 the Beijing Financial Assets Exchange has introduced some relevant rules on the transfer of PE funds, but China has not formed most investors. Both are more recognized and effective PE secondary market platforms. The third point is that the transaction is complicated and the transaction cost is high. Because the trading entity involved in the share transfer is not only a fund, but also some investment portfolios under the fund. Fourth, due diligence restrictions: frontality and accuracy are difficult to guarantee. They generally have no control over the fund and the underlying market, so they have relatively limited information. If you want to conduct a comprehensive due diligence in the PE secondary market, it may be more difficult. 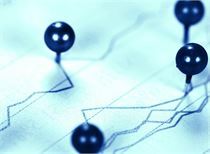 Fifth, the protection of investors in the entire PE secondary market transaction documents is insufficient, which is also linked to the characteristics of the secondary market, because the transfer schemes are generally strategic investors and financial investors, who are generally unwilling Relevant guarantees are provided for the status of these funds in the transaction documents. Sixth, it is difficult to recover, and many of them are transferred to the exit period, making it difficult to settle the settlement. If it is found that there is a breach of contract, the legal liability can be pursued through breach of contract, but in the PE secondary market, if the transfer has been dissolved, it may be difficult tocontractThe relevant agreement is to investigate the liability of the transferor for breach of contract. The cold winter of fundraising is still going on, and the withdrawal pressure of equity funds is even greater. Speaking of fundraising difficulties, the peers know that it is easy to raise funds at any time, but last year, I felt very deeply that fundraising was difficult. The first sentence for all people to meet was "Are you getting money?" ? I almost saw that no matter which organization is the person, there used to be a special fundraising department. Now it seems that all the partners are looking for money outside, so I think this is a very serious situation facing the industry. The introduction of new regulations on asset management last year has had a huge impact on the funding sources of equity funds. Because bank capital accounts for more than 95% of the total equity financial capital, if the source water is cut off, the impact is undoubted. The second one is an insurance company. Of course, the insurance company is not because of the new regulations of the asset management, but because it is contained in the universal insurance, can not be deformed, rapid expansion, etc., such a type of insurance has been cleaned up, resulting in a sharp decline in the overall premium scale. Funds that can be invested in equity investments have also been reduced by a very large share. In the past few years, Xinzhongli has had a lot of cooperation with insurance companies. In terms of various information, insurance companies are greatly reducing the proportion of equity investment. The third is the government's financial input. When I used to transfer money to change the loan, I lost it. Now I have to say, "I want to have my equity." In fact, from the government guidance fund has become a major source of equity funds in the market, but the government can not take all the financial funds out, but also use the leverage to allocate funds from the bank, and the new rules of the bank's asset management for many mothers In terms of funds, it suddenly found that the scale of past commitments could not be achieved by the scale of several hundred million yuan, which directly affected the part that would be invested in the GP and would shrink sharply.